Becoming a U.S. citizen is a tough and rewarding process. It takes hours of research and requires a lot of time and energy. The U.S. citizenship interview is one of the most important steps to becoming a citizen of the United States. The U.S. citizenship interview can be both nerve-wracking and exciting. However, the secret to success is simple. Practice and preparation are the best ways to reduce your anxiety and help you pass with flying colors. 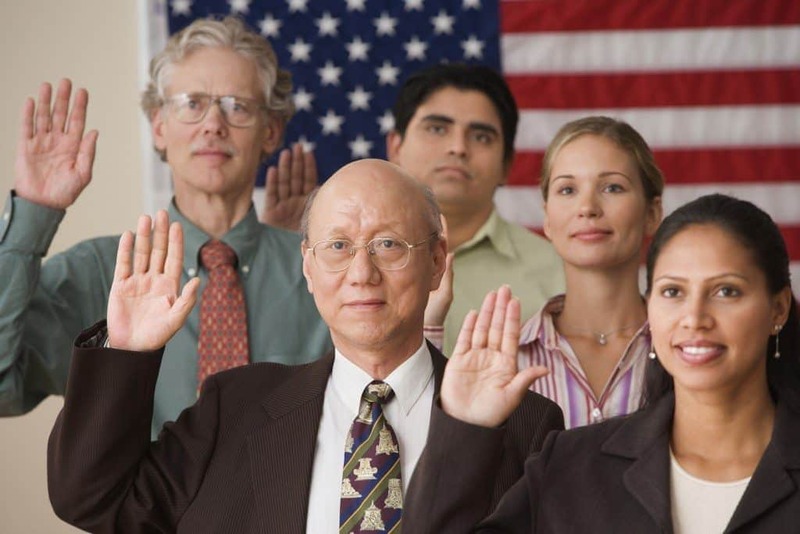 Use this guide to help you get ready for your upcoming United States citizenship interview. Here’s what you need to know; a breakdown of the citizen interview process; tips on preparing for the exam; what to expect; tips on studying for the exam, and information on common citizenship interview questions. It may seem like there is an overwhelming amount of information to learn. You’ll be ok if you remember to remain calm. On the day of your citizenship interview, be prepared to talk about the history and government of the United States. The USCIS website offers a variety of resources to help you study. You can also make flashcards of the most common citizenship interview questions and ask your family, friends and coworkers to quiz you. The USCIS and other websites provide information and resources on the naturalization test. Study materials for the English test includes videos, interactive practice tests, help with vocabulary and study booklets. There are also resources for the civic exam. These include study booklets, interactive practice exercises, videos, audio and more support with civic information and naturalization processes. During your naturalization interview, a USCIS Officer will ask you questions about your application and background. Unless you qualify for an exemption or waiver, you will also take an English and civics test. The English test has three components: reading, writing and speaking. The civics test covers important U.S. history and government topics. Keep reading to learn the most common citizenship interview questions and what to expect from the exam. Once your application for citizenship has been processed, you will be sent a notice via mail telling you when and where to appear for your interview. Make sure you remember this information because you will NOT receive a reminder. To make sure you feel as relaxed as possible, arrive 30 minutes before your interview. The last thing you want to do is stroll into your interview feeling frazzled and rushed. Give yourself time to find the proper office, use the restroom and subdue your anxiety. Becoming a US citizen is important. You’ve been chasing the American dream and you can’t miss the interview. Rescheduling it could set back the application process by months. You’ve come this far. Don’t make yourself wait even longer. Once you have arrived for your interview, you will be asked to take an oath and present your identification and any other requested documentation. Next, you will be interviewed by a USCIS officer, who will be listening for evidence that you speak and understand English. After the interview, you will take a US History, Civics and Reading Test. In order to pass this exam, you must be able to read, write and speak fluently in English. The English test consists of three parts: reading, writing and speaking. To pass the reading exam, you’ll need to make sure you can read one of three sentences correctly. For the writing section, be prepared to write one out of three sentences properly. There will also be a naturalization test. During the interview, applicants will be asked in English up to 10 questions from a list of 100 common citizenship interview questions. To pass the civics test in English, you must answer six of the 10 questions correctly. For studying resources, visit the U.S. Government Bookstore to purchase USCIS products, publications and study guides. Several study tools are available to help you get ready for the big test. You can also use flashcards, watch English TV shows and movies and read English books and publications. Who is in charge of the executive branch? The President. What is the “rule of law”? Everyone must follow the law; Leaders must obey the law; Government must obey the law, and no one is above the law. Name one branch or part of the government. Congress, Legislative, President, Executive, the courts and Judicial. What stops one branch of government from becoming too powerful? Checks and balances and separation of powers. What is freedom of religion? A person can practice any religion, or not practice a religion. What did the Declaration of Independence do? Announced our independence (from Great Britain), declared our independence (from Great Britain), and said that the United States is free (from Great Britain). How many amendments does the Constitution have? Twenty-seven (27). What is one right or freedom from the First Amendment? Speech, religion, assembly, the press, and the right to petition the government. Think of your citizenship interview like a job interview. Plan on dressing professionally and pick out your outfit the night before so you don’t waste time in the morning. A professional look will help you feel more confident, create a good impression and help feel your best. Also, make sure you have your required documents, and any additional documentation that may have been requested. The naturalization interview is potentially life changing and it’s crucial to be prepared.,. Which documents should I bring to my naturalization interview? You may want to bring your items in a briefcase or satchel. Make sure these documents are ready to display and clear and organized in a notebook or binder. Think of it like you’re going to any other important interview or meeting. Also bring any community/club membership cards and other helpful documents that demonstrate that you are a productive member of your community. These could include pay stubs or rental leases. 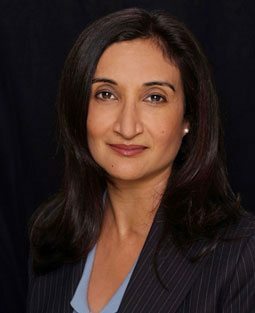 If you are unsure what to bring, a professional immigration attorney can help steer you in the right direction and ensure you have all the documents you’ll need. USCIS also has a Citizenship Resource Center with resources to help you understand what items you need to submit with your application and what you should bring to your interview. These study guides include A Guide to Naturalization, a “Thinking About Applying for Naturalization?” flyer, and the Document Checklist for Form N-400, Application for Naturalization. The citizen interview questions were not all created equal, but there are some common interview questions you will most likely be asked. Remember that you must always answer questions honestly and accurately. If you lie or misrepresent the truth, the USCIS can reject your application for citizenship. If you don’t know an answer, be truthful and share your uncertainty with the officer; but make sure to share what you DO know. All names you’ve used in the past and are currently using now. Information about your parents and their citizenship. Information about your birth and your current age. Information on where you are living and with whom. Information on where you are working and what you are doing to earn a living. Details on your last trip(s) outside of the US. Information on any clubs, groups or organizations you belong to. Information on your personal character and values. Information on any criminal history you may have in the United States or any other country. Your opinion and views of the U.S. government and the U.S. Constitution. It may seem like an uphill battle right now, but remember the US citizenship process is almost over. Passing the citizenship interview is a big step and the best way to do that is through smart preparation.